A mule deer buck in velvet hears something in the distance near Bailey, Colorado. 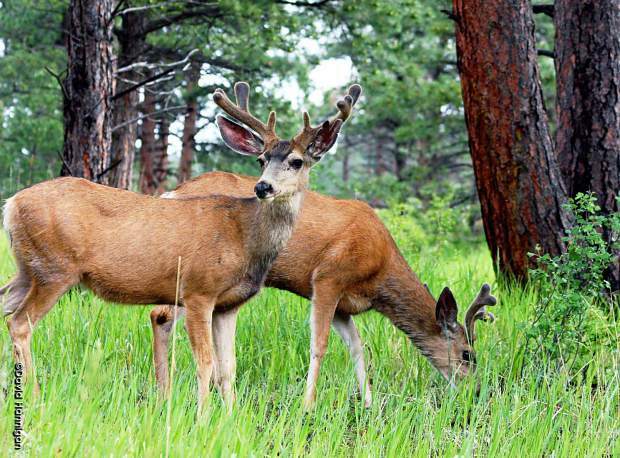 Colorado Parks and Wildlife is warning residents that mule deer are now in the heart of their mating season and to be careful around bucks, as they can be aggressive and unpredictable this time of year. 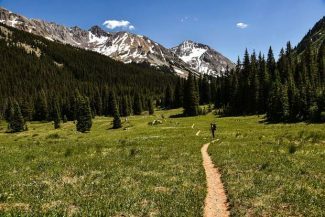 A veterinarian in Durango reported this week that a buck had attacked three dogs in a residential area there. Bucks have a one-track mind at this time of year — they want a mate. They are prone to agitation if any other animal or object appears to be posing a challenge to their “manhood” or competing for mates. 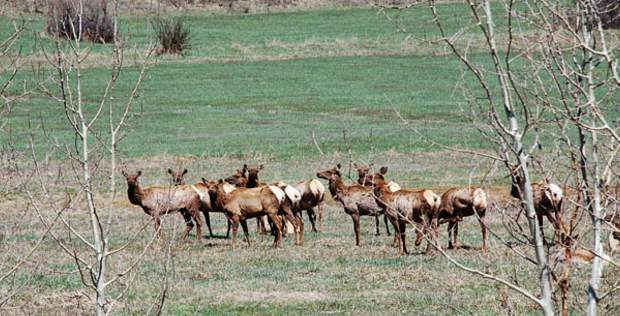 Dogs are often targets and may get badly injured by a buck’s antlers. The rut lasts until about mid-December; if you live in an area where you see lots of deer take precautions: Keep your dog leashed, don’t let it roam free, don’t let them approach wildlife, and keep track of where they are and be alert to barking or other signals wildlife may be near. Deer can also become aggressive toward humans, so stay well away from them.